Implants, instruments and good ideas. We develop and manufacture products that are precisely tailored to the specific needs of spinal surgeons, clinical staff and patients. They support existing processes as efficiently as possible and make the users’ work easier. As passionate experts, we create effective solutions for daily surgical practice. Our developments are the best thing to ever happen to surgeons. We believe that the design of implants and instruments should follow the needs of the user and his/her procedures – and not the other way round. For this reason, more than 30 of world's leading surgeons are regularly involved in the development of our products – all of them experts who know exactly what they and their teams need for a perfect surgical procedure. This is why Silony offers over 900 different pedicle screws, but just a single screwdriver that fits them all. It’s also the reason why we equate quality not with quantity, but with individuality and flexibility. In short: our implants and instruments are multifunctional, highly customizable and simplify work for everyone involved. Surgery is team work. Which is why we get everyone involved. “From experts for experts” – that’s our motto, and it includes experts from all departments. Our unique Process Advisory Board (PAB) ensures that not only surgeons, but also theater and CSSD staff, can air their opinions where the development of new features for our implants and instruments is concerned. Our customers experience what this means on a daily basis: color-coded implants and custom-equipped trays provide clarity in the operating theater, as well as instruments that can be disassembled intuitively and IFUs with well thought-out, work-appropriate requirements which minimize the effort required in the CSSD. Partners in spirit and partners in business. Our aspirations cover the entire hospital. As a business partner intent on long-term relationships, we not only work for, but also with our customers. And they quickly notice that our sales force partners also have long-standing experience in theatre care or management. Only those who know how a hospital is run can adapt their service accordingly. How can purchasing, reordering and complaint procedures be optimised? How can we achieve maximum cost transparency and stability? In order to find the right answers for every customer, we integrate all the hospital departments involved into our training events and workshops. This not only allows us to deliver fast solutions, but good ones at that. 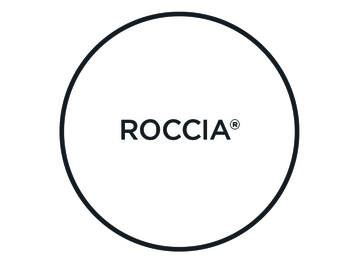 Our product portfolio for the cervical spine includes the ROCCIA ACIF with its lean, intuitive instrument system and a flexible selection of implants adapted to requirements. 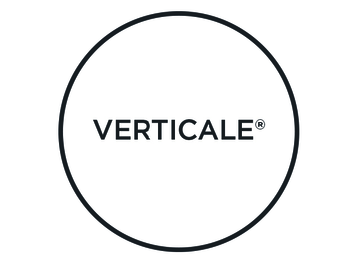 For the thoracic spine we offer both ROCCIA cage products as well as the VERTICALE fixation system. These can be implanted via multiple access routes and methods. For the lumbar spine, we provide solutions for anterior, lateral or posterior use depending on the anatomical situation and the indication and for the best benefit for the patient. We continuously optimise our implants and instruments for the respective working environment. We offer specially adapted solutions for the transition region from the spine to the hip.